Bolivia Business Etiquette. Bolivia Business Culture and Customs in Bolivia. The most important thing to know about business etiquette in Bolivia is that Bolivians prefer to do business with people they know and trust and will often keep their business dealings within a close-knit family and social circle. Because social interaction is so important to the success of your business dealings, your social etiquette and dining etiquette are just as important, or even more, to corporate success. Simply put, businesspeople are not likely to do business with anyone who may cause them embarrassment in social situations. Bolivians tend to be formal socially, and even more so when conducting business. Your business etiquette, conduct and attire are both important to ensuring the success of your business relationships. • Always be professional in your demeanor and in your business dealings. Follow the lead of your Bolivian counterparts when it comes to attire, the mood and setting of your meetings, meetings they’ve arranged for you with others, etc. Bolivians tend to be very open and friendly, often holding business meetings over meals, rather than in an office setting. This gives you and them an opportunity to relax, but should not be taken for granted. Do relax, have fun and enjoy, because Bolivians are very hospitable, gracious, and eager for you to leave with a good impression of Bolivia, but stay professional and alert and follow the lead of your host. • You should begin with a firm handshake when first introduced. Eye contact and a smile are both important. Be professional but don’t be too stiff or serious. Friendliness and good social graces are essential and your smile (which will exude confidence) will go a long way toward getting you into their "circle of trust". • Pecks on the right cheek between men and women, and between women and women, are customary greetings even between strangers who have been recently introduced, and this is not uncommon in business settings. Fear not. It is has no particular meaning other than simply "hello and welcome". If you are drawn in for a peck as you are shaking hands, turn your head to the slightly left. The other person will do the same, and you will both quickly do an "air peck" as your right cheeks briefly touch. Turn your head to the left just enough to kiss the air next to their cheek, and prevent you from accidentally kissing them on the lips. Do not turn your head too far to the left. It won't be pleasant for either of you if they end up kissing your ear. • Kisses are not a part of an introduction or greeting between men in Bolivia. Men draw each other in for a very short hug during which time you may receive (and can also dole out) several hearty slaps on the back or left arm as your right hand will be engaged in an equally hearty handshake. • Begin your greeting with “Buenos días” (good day) or “Buenas tardes” (good afternoon) or “Buenas noches” (good evening). Allowing your host to introduce his staff before you introduce yours is good business etiquette. • Businesspeople are proud of their titles. When introducing your staff or other companions use their title when addressing or introducing them to others. You don’t always name each person by their profession. Many professions are grouped under one title: “licenciado” (meaning “graduate”). Bolivians use this for many professions. For example, a psychologist might be Licenciada Arratia, an engineer might be Ingeniero Sandovál, a doctor might be Doctora Giménez, a government employee might be Licenciado Carval. The point is, if you are unsure, call them Licenciado(a). It acknowledges that you know they are a certified or titled professional. • There is a big difference between being a professional and acting professionally. In Bolivia, whether or not you act professionally or are well qualified for your job, if you have a university degree, you are called a professional. So when people tell you “She is a professional” they really mean “She is a university graduate”. This says nothing about that person’s expertise or qualifications for a position, nor does it mean they have behaved professionally. • It is not good social or business etiquette to address a person by their first name until they have done so with you first. When they begin to use your first name, you can rest assured you have progressed to a respected position with them, and are slowly advancing toward a possible inclusion in their actual circle of trust... maybe, possibly, soon perhaps. • When they introduce you to other businesspeople using your first name, this means they now consider you a friend and trust you enough to refer you to others. They know that by introducing you they are actually recommending you and facilitating the way for future business between yourself and the other person. Business in Bolivia is based on personal relationships, which they will not risk for you if you haven't gained their trust. • There are three ways to say the word YOU in Spanish: Usted is used in formal situations and with strangers and mere acquaintances. Tú and vós are informal and used between family members (except when addressing elders) and good friends. Always use Usted in business and socially until your host begins to use the informal tú. That’s when you know you are well on your way to establishing a good business relationship with them. • One exception to this: If after weeks and months of interaction a person does not switch to the informal form "tú", but does seem to be enjoying doing business with you, don’t worry. Some of the more long-established families with deep European roots have a custom of being much more formal with others. In some of these families it habitual for all family members to call each other by the formal "Usted", especially elders and parents. They simply cannot abandon the formality with which they were raised. Follow their lead and copy the business etiquette they are using and you should be fine. They will show you in other ways (usually with humor or openness) that you are trusted and considered a friend. • Foreigners find the issue of punctuality (or lack of) frustrating and downright rude. We see it as a sign of disrespect. But in Bolivia, it is socially acceptable and even polite to be 15-30 minutes late to a dinner or event. Nevertheless, in business you should always be punctual, even though your host will most likely not be. 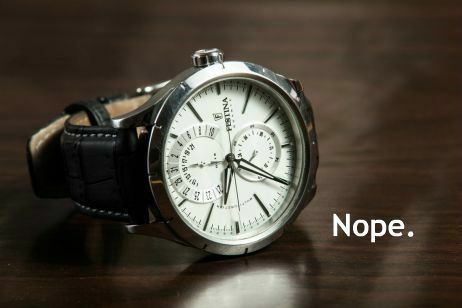 Meetings rarely begin on time, although some Bolivians who have worked or lived overseas may have become converts to the concept of punctuality. • If your host is later than you are willing to wait, you can politely offer to reschedule. If you do so, understand that it may be taken by them as rudeness on your part. But ultimately, your time is money as well, so it's up to you to decide whether or not you will wait. • To be successful in business in Bolivia, you must understand that personal relationships are vital and must be cultivated. Getting a job or contract may depend more on who you know than on your qualifications. Good social abilities are essential. 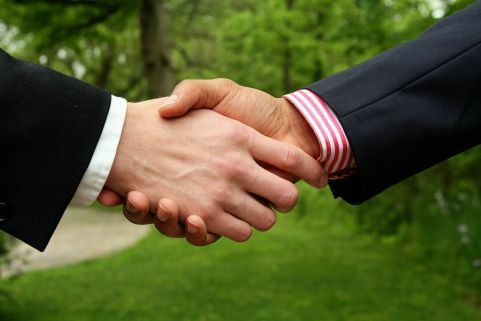 Potential business partners will socialize and get to know each other prior to conducting business. It's not uncommon for a business meeting to begin with questions about (and greetings to) your family, or a lively discussion about current events, the economy or politics. Your host will be gauging your knowledge about Bolivia, but also attempting to make you feel welcome. • Deadlines are often not met. This is just one area, maybe the only area, in which Bolivians are less formal instead of more formal than you. Foreigners often think Bolivians don’t consider deadlines important and to some extent, this may be true. Bolivians often assign a higher value to family and social time than work and deadlines. However, conducting business is also just more complicated. Things often take longer to accomplish because businesses must comply with numerous central government requirements, controls and oversight, provide added training to employees, and more. Any deadlines you set should be realistically based on Bolivia's reality, and not only yours, otherwise, it may be wiser to pass on certain Bolivia business opportunities. • People prefer to conduct business in person in Bolivia. Calls, faxes, and emails are not likely to be very effective, at least not until you and your Bolivian business partners are thoroughly familiar with each other. You will be closely studied during your first social and business interactions with potential Bolivian business partners. First impressions and your social and business etiquette are vitally important. • If you are not well known in Bolivia, you would do well to have a local contact do your business moving and shaking for you amongst the Bolivian business community until you people are familiar enough with you to call on you themselves and accept your invitations as well. • Since face-to-face interaction is so important when doing business here, while you may normally accomplish your goals with one meeting, in Bolivia you should plan on holding several meetings on an issue before coming to agreements or entering into a contract. • Because people take a lot of time to get to know each other prior to committing to a business deal, the pace is much slower and sometimes frustrating for foreigners in Bolivia. You can’t rush business here. It takes time to cultivate the truly personal relationship that will hold up and sustain the eventual business relationship that follows. • You will need a lot of patience. Your deal can fall apart if you become angered, show impatience, or pressure people too much. Rushing a deal never bodes well in Bolivia. Even if you eventually do sign a contract, your Bolivian counterparts will never fully trust you and there will be underlying resentment that could lead to problems in the future. Of course, you have to be realistic on your end too - so if the timeline is simply just not working for you, take your business elsewhere. • Don’t rely on oral contracts at all ever. 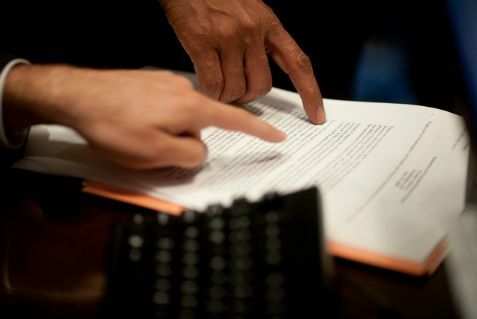 Nothing is final until a contract is signed and even after that, until all accompanying documentation is signed, notarized, and completely finalized in all ways. • Plan to hold several meetings, not just one. Meet as many times as needed until you are finally able to meet with the highest-ranking decision-maker. • In the workplace, any errors employees make should be pointed out to them in private. Correcting someone in front of others is considered hostile. Remember that if you are a foreigner employing nationals in Bolivia, you are bound by all Bolivian employment laws. • It is customary business etiquette to present your potential business partner with a gift and, if invited to dine with his/her family, something for their spouse and/or children. Promotional items with company logos should be small and unimposing, and promotional items are usually used for advertising the business image to the public, not as a gift for a host or hostess. 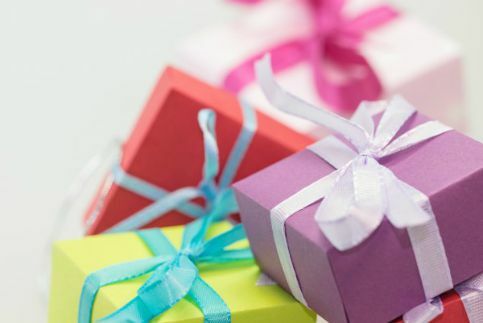 Cigars, books, art, flowers (for women), high-end spirits or chocolates make more appropriate gifts to business colleagues – in other words, something they can share or talk about socially with you. An especially well-researched or thought out gift will go a long way. • When you give someone a wrapped or packaged gift, they won’t usually open it in front of you. They’ll wait until you are gone. However, there are exceptions and sometimes it is considered polite for them to share your gift with you. For example, a bottle of whisky, a couple of cigars, or a box of chocolates may be brought out after dinner that evening and you’ll both partake of them. Even if they unwrap them out of sight. • Bolivians love it when you make an effort to speak Spanish. Most upper class Bolivians speak English, French or German. However, if they do, they will admire you more if you make an attempt to speak Spanish. Even if your Spanish is atrocious, the fact that you tried will score you more points with them than if you come to Bolivia just assuming that everyone else should make the effort for you. Bad grammar and a poor vocabulary don’t matter – what matters is that you tried. Big points here! • If you have absolutely no Spanish skills, hire an interpreter. The interpreter can help you navigate through a conversation gracefully and will pick up on the social and cultural nuances of the conversation that you might miss, and keep you informed of them. • Your demeanor is important as are your business etiquette and social skills. Business is conducted in a warm and friendly manner. Don’t confuse the formality with being stilted or cold. Formality and friendliness go hand in hand for business here. • Maintain direct and constant eye contact with anyone who is speaking with you at all times. Lowering your eyes or shifting your view causes people to think you are not trustworthy. It is bad business etiquette to look away as you talk to someone or when they are talking to you. It makes them feel that you don't think their presence or ideas are important to you. • If you are a woman you will have to work extra hard on your business etiquette and even harder to become trusted and be treated as an equal, or at least as an ally. Your credentials and experience will be very important. This is not fair in Bolivia or anywhere else, and can be hard to hear. But would you rather not know? • Men wear suits and ties when conducting business. Don’t take off your jacket or tie until your counterpart does. Wear light fabrics and colors in Santa Cruz during the summer as the humidity can be stifling. In La Paz people tend to wear dark-colored suits in heavier fabrics because of the cold. • Women should wear skirts down to the knee and a crisp shirt and jacket. Skirts above the knee are considered seductive. In Santa Cruz you will notice women wear very very short skirts, even to work. You will also notice they may be wearing uniforms. Secretarial and administrative staff and are not treated as equals, rather most of them are very subordinated in the workplace and may never hold a higher position. A woman who dresses impeccably and very professionally will be taken more seriously. In Bolivia, what you wear has everything to do with your professional progress. • Women should not get too physically friendly with male business counterparts and by this I mean that men often, when relaxed around each other, will pat each other on the back, laugh heartily, socialize at night with potential business partners, etc. Women have a much harder time gaining respect professionally in Bolivia. Touching a man in any way during a business conversation, laughing too heartily and becoming too familiar may be seen as seductive and you will cease to be taken seriously. While dinner may be important to gaining their trust for business, staying out too late and drinking too heavily will not work in your favor. • Be especially careful about Friday nights as in Bolivia they are considered “noche de soltero” (Bachelors' Friday). Men go out without their wives or girlfriends. Even if you plan to discuss business over dinner, you’ll quickly find business will be forgotten by about 10 p.m. when noche de soltero begins, and your presence will not be appreciated after that. “Hanging out with the guys” will not score you brownie points. And if they’ve got a wife or girlfriend, don’t interact with the men in a very familiar way. Even Bolivia's largest cities have small town grapevines. • Be aware that smoking indoors is not against the law in Bolivia and people quite often smoke in their offices. Asking them not to smoke is considered rude and imposing. If it becomes intolerable, you might suggest moving your meeting to an outdoor café. If you are a smoker, do not smoke unless your host smokes too, and if you smoke, always offer cigarettes to all the people around you. It is rude to smoke without offering to share with everyone else.